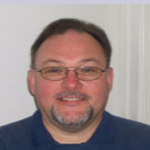 Mike Pelletier is the President of U.S. Termite & Moisture Control and a life long resident of Chesapeake, VA. 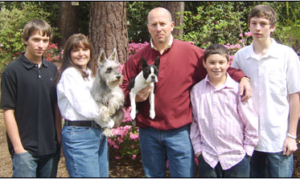 This family business has been serving the Hampton Roads area for over 20 years in the pest control and construction industry. The founding company Cape Construction Company, Inc. is Class A licensed and provides new homes and additions to its clients. It has been recognized by the Tidewater Builders Association for building with quality and dependability. Both divisions are here to serve your pest and construction needs with a professional attitude. “We pledge to all our clients complete satisfaction by providing the highest quality workmanship in all we do.” Known as your “total home care professionals” we can provide all home care services. Mike and his wife Sue have been married since 1985 and she too is a life long resident of Chesapeake. Sue has her masters degree in education and home schools their three sons David, Zachary and Jacob. This family stays busy at work and play. They enjoy camping and are active in a water ski club most weekends. Jesse is a two time past president of the Tidewater Pest Control Association (TPCA) and has been involved since the late 70’s. He was on the Board of Directors of the Virginia Pest Management Association for over 10 years. He served many years on the VPMA Grievance Committee and the TPCA Better Business Committee. His 33 years in the pest control industry has equipped him with many skills and tools of the trade, which he proudly uses to provide his customers with accurate assessments, sound advice, and the truth about their situations. This is what US Termite customers have come to depend on and for what he is well known. Jesse is married with 3 children and 2 step-children. He is an avid Virginia Tech fan and loves racing dirt track cars. To this day, he is very proud to be working for the best and most honest pest control company there is- US Termite & Moisture Control. 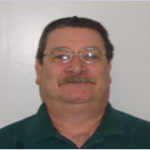 Tom was one of the first graduates from the Virginia Pest Management Association Master Technician program. He is a VPMA certified Wood Destroying Insect inspector and commercial applicator. He has been with US Termite for 15 years. Tom is married with 4 children and enjoys fishing and hiking. 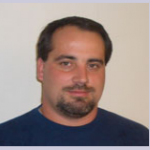 David has been in the pest control industry for 13 years as a certified applicator, specializing in residential pest management. He has been with US termite for 11 years. He is married with 3 stepchildren. He is looking forward to completing the VPMA Master Technician Program. He loves racing and is a Mark Martin fan. 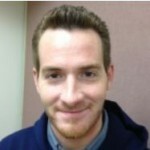 Buddy is a registered technician and has attended the VPMA certified WDI Inspector Course. He has been with US Termite for 8 years. He looks forward to attending the VPMA Master Technician Program. He also loves racing dirt cars and is a Mark Martin fan. Brandon is a register technician for Pest Control. He attended Northern Virginia Community College focusing on Hazmat Certification and Fire Science. His outside interests are astronomy,and the culinary arts. Sean has 20 “plus” years of experience in the construction business. He is a Master Carpenter. 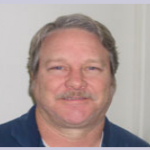 Sean has been with US Termite Repair Division for 17 years. He specializes in custom carpentry, metal and metal wrap, tile, flooring and understructure repair. Daniel is also a Master Carpenter with the repair division. He specializes in carpentry, metal and metal wrap, decks flooring and understructure repair. Daniel is a crew leader. He has been with US Termite for 7 years. He enjoys golf and hunting. 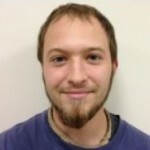 David has been with the company for 3 years in the repair division doing understructure repairs and painting. After hours David enjoys music, photography and his pets. Cindy has been with US Termite for over 10 years. She handles accounts & receivables, maintains company records. 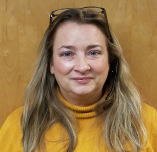 Cindy is responsible for organizing and coordinating office operations and procedures in order to ensure organizational effectiveness and efficiency. She performs other related duties as required. Cindy is an expert at multi-tasking and confident in project management. 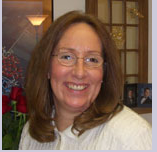 Cindy is married and has lived in the Hampton Roads area for over 30 years. She enjoys spending time with family and friends and most all outdoor activities. Nancy-Carole graduated from Great Bridge High School and attended Tidewater Community College. She has been in the pest control industry since 1977. She is experienced in termite inspections, pest control application, and has been a pest control operator on a pest control route in the past. When possible, she attends TPCA meetings and continues education in this field. Nancy enjoys skydiving, photography, and being around a motivational environment. Sherry is our Customer Relations Coordinator. She is skilled at communicating customer needs when scheduling for policy renewals and inspections. She maintains customer files, records and handles other office duties when required. She provides a valuable link between US Termite and our customers. Sherry is married and has lived in the Hampton Roads area for her entire life. She enjoys traveling, the beach, and the Walt Disney theme parks.